Question: What does a fire do? Most people don’t ever see a real fire burning real logs anymore, which is a shame. Besides the obvious niceties, seeing, smelling, hearing and feeling a fire can also teach us a lot about life with the Lord. Like all of creation, fire teaches us. It points us to our Father (it is our Father in a certain sense) and speaks of what lies behind the thin material veil before us. Look at a fire and you will glimpse what God is about. 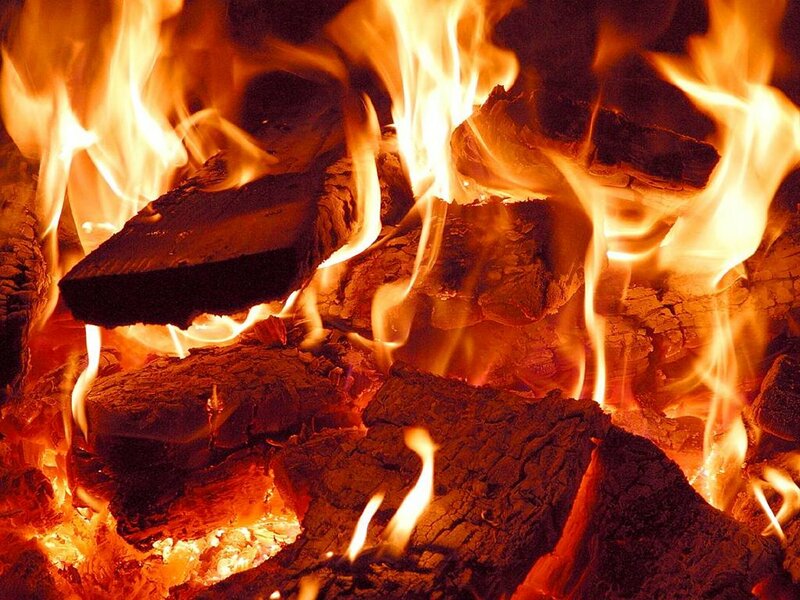 A fire does not tolerate the impurities of a piece of wood. It puts it through a period of cleansing and refinement. It changes it; makes it pure by making it purely wood, without any of its original imperfections. This is not simply an end in itself but so that the fire can transfigure this dead piece of wood into itself – something it could never have done for itself. Is this not what God does for us? Though as dead as a piece of wood in our sins (Eph. 2:5), mixed through with soot and covered in barnacles, the living flame of the Lord engulfs and mercifully purifies us. He doesn’t tolerate the evil that sullies us. He wants to destroy it, annihilate it, burn it away. This simple fact should blow our minds: if we stick close to Him, He promises to make us 100% pure and whole – free from all that clings to us and steals our happiness. It will hurt. It will come through suffering. It will involve a painful detachment and uprooting. For this reason, it is only with a great deal of either naivety or courage (hopefully the latter) we can pray one of those highly consequential prayers, “Lord, kindle in me the fire of your love.” His love is a fire – and it burns. What is this purification for? Transformation. We bear a tremendous inner poverty akin to a dead piece of wood, but once purified of all that keeps us from accepting the life (the flame) of God, we can be ignited by the spark of His Love and transfigured into an amazing, heat-giving, light-giving fire! We are transformed into a royal priesthood: able to offer ourselves up as living sacrifices billowing up to Him. And in this sacrifice – in this gift of self – we find abundant life, joy, happiness, peace and glory. Now the coup de grâce: this purification (i.e. deeper conversion) and transformation wrought by the fire of God inevitably and inescapably leads to mission. 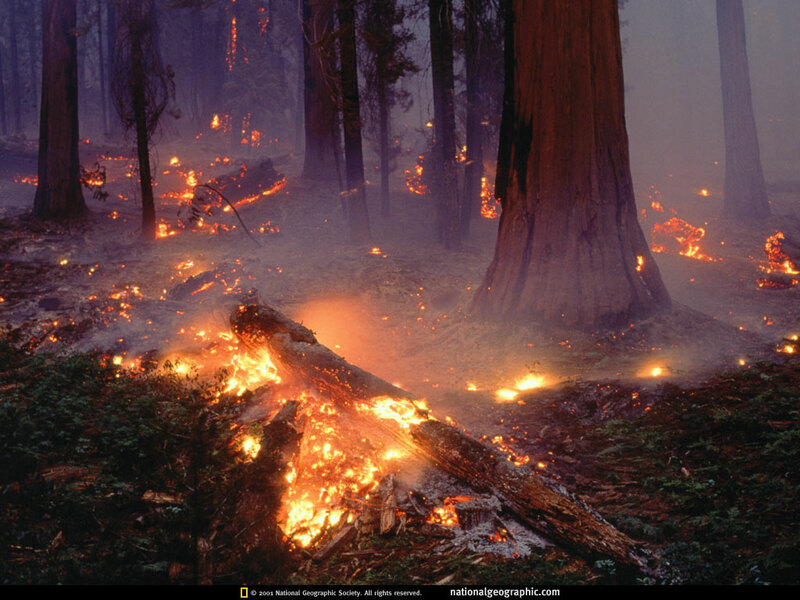 A fire that is really aflame is always felt and seen by others. In fact, if left to its natural course and habitat, a fire that is really burning will pass its heat along – it will ignite others as well! A flaming log doesn’t keep to itself, but shares what it has received with others. It is set aglow with dazzling light. And what is set aglow is meant to be seen. Thus, disciples burn. They burn with the holy, engulfing, beautiful fire of God. They are purified, made whole, transformed and then sent like wildfire to bathe the whole world in this vibrant glow. Brothers and sisters, let’s be disciples. Let’s look into the fire of God’s love with trust! We must understand that it comes to purify, to heal, to enlighten and to transform. And then, let us not be afraid of the flame we have been given, but instead go forth into the world in the confidence of God’s power. Now go make a fire. Scriptural Postscript: pray with 1 Peter 2:9; Revelation 1:6, 5:10; Titus 2:14; Romans 12:1; Psalm 119:4; Hebrews 12:28. Also, pray with this song Fuego De Dios by Hillsong United. This entry was posted in Conversion, Mission and tagged Burn, Chris DuPont, Conversion, Fire, Fuego De Dios, Hillsong United, Lent, Mission, Purification, St. John of the Cross, Starting Fires, Transformation. Bookmark the permalink.